The RisingSeniors Foundation was established in 2010 to ‘Inspire student athletes to dominate the 5th Quarter’ – that is, life after sports. Our academic immersion program is held annually in December when we assemble 90 of the very best junior classmen football players from around the state for the Georgia Junior Bowl. As our tag line indicates – the Georgia Junior Bowl is ‘More than Just a Game’. Our ‘Knowledge for Life’ leadership curriculum has been specifically designed to equip student athletes with the Academic, Emotional, and Life skills necessary to Grow and Transition from high school to college and ultimately beyond. The entire Georgia Junior Bowl Program is offered free to all participants. I invite you to support our program by purchasing tickets to attend the 2018 Georgia Junior Bowl. Please help us sell-out this event! The Ticket Windows will open 90-minutes prior to kick-off. Ticket Windows will close immediately following the Second-Half kick-off. Reselling of tickets for an amount greater than the printed price is prohibited. All gates will open 90 minutes prior to kick-off. Will Call tickets can be claimed at one location only. The Will Call Tent will be adjacent to the Ticket Booths located on the East Side of the Stadium. A picture ID must be shown to pick up Will Call tickets. Tickets purchased online shall be printed in advance and presented for entrance. GHSA Passes will be honored, plus (1) guest. Please check-in at Will Call and be prepared to present government issued identification and your GHSA Pass. Tickets for childern under the age of 4 are not required. Alcoholic beverages ARE STRICTLY PROHIBITED within the stadium. All areas of the stadium are smoke and tobacco free. Anyone violating this policy will be subject to removal from the stadium. 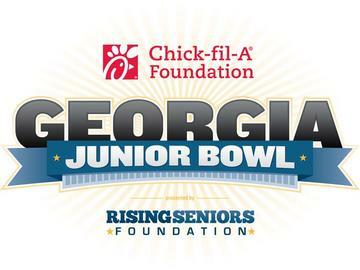 Georgia Junior Bowl football tickets are only valid for one-time stadium entry. Fans who wish to exit the stadium prior to the conclusion of the game will not be allowed to re-enter.